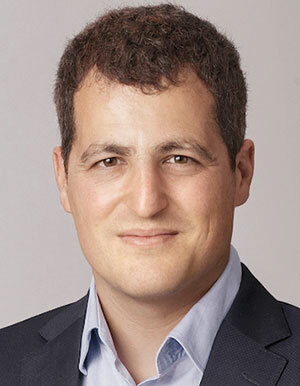 Shmuel Chafets is a Funder and General Partner at Sela Venture Partners. Sela is a Berlin based Investment Management company focused on early stage technology companies. Prior to his work at Sela, Shmuel was a Partner at HPV, a Berlin-based venture capital fund with over EUR 150 million under management founded by Prof. Hasso Plattner, Founder & Chairman of SAP. Shmuel managed HPV’s investments in iZettle (FinTech), Hansoft (Software), DreamLines (Travel), Rebuy (re-commerce) and MyHeritage (Internet). Prior to HPV, Shmuel was a Founding partner of GPV, a pioneer venture capital firm focused on the Polish Market. Prior to the founding of GPV, Shmuel was a director of business development at Giza Venture Capital, where he later became a partner in Giza 5, one of Israel’s best- performing venture funds post 2000. Prior to Giza, Shmuel was a consultant at GCS, a strategic consultancy, where he worked with corporations, NGOs and governments. Before GCS, Shmuel worked as an aide to a Member of the Israeli Parliament and as a senior advisor to the Deputy Minister of the Interior. Shmuel is also co-founder of LocaLoco, a developer of social games for emerging markets. Shmuel is a member of the board of directors of the Tel Aviv Opera, the Rabinovich Foundation (Israel’s biggest film foundation), and Presentence Israel (NGO promoting social entrepreneurship) and a member of the steering committee of NazTech, an acceleration program targeting Israeli Arab entrepreneurs. He is a member of the advisory board of Innovation: Africa, as well as a member in the World Economic Forum’s “Global Shaper” community.